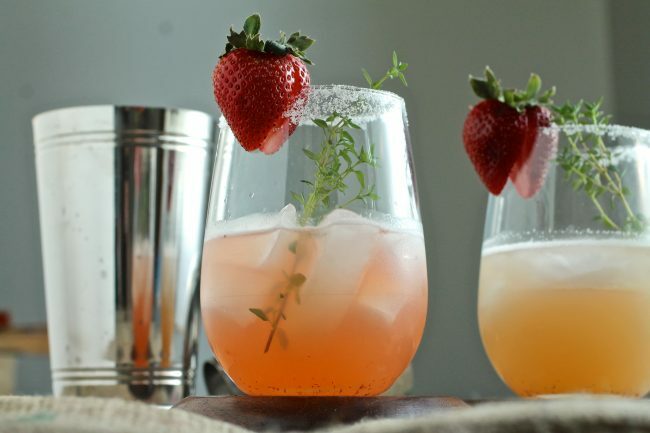 Give your favorite margarita recipe a twist with these strawberry cocktails. 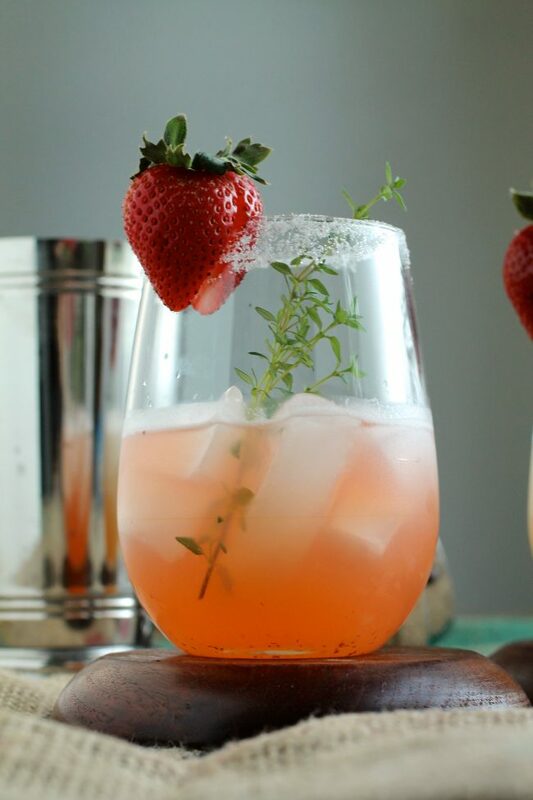 A sprig of thyme gives an earthy twist to these summertime drinks! I had most of the Tequila Week recipes photographed before the week began, but on Tuesday I set out to take the last few sets of pictures. One was yesterday’s Blackberry and Tequila Glazed Chicken Sandwiches, and one was a yet-to-be-determined delectable final chapter – a home run recipe to close out Tequila Week in style. I had lots of lofty, creative ideas. But of course, in the process of cooking up the sandwiches, I burned the living crap out of my left hand. Instead of whipping up some super-duper tequila-y thing for Friday’s post, I sat with my hand in a bucket of ice water for six hours, ended up in the Emergency Room, and passed out around 2:30am thanks to some exceptionally strong painkillers. Hashtag OUCH. I putzed around for a day, not really able to move my poor burn-victimized hand, still thinking about what we could make to close out Tequila Week. I say “we” because at this point, there was no way I was getting anything done myself. Thankfully, Kyle is super awesome and offered to be my hands whenever I needed them. Even if what I needed hands for was cooking (which he isn’t a huge fan of). So I sat, and I “womp womp”ed over my painful, potentially disfigured hand (although my hands are weird anyway, so whatever. I have stupid short stubby thumbs) and I thought about tequila. TEQUILA! There were so many possibilities. 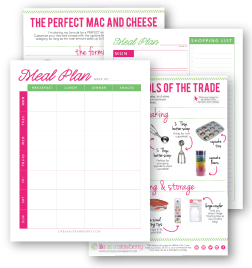 So many things I could make! But all of them took time. And were sorta complicated. So yesterday morning, I was all, “I could just make margaritas. But I already DID that this week. Lameness.” And then I started thinking of other things. So I made margaritas. Kyle helped. He even carried everything into my office for me and set up the shot with the cups and stuff. Awwwwww. (THANKS KYLE). And then we drank them. And you know what? They rocked. And life was good. Except for my hand. But even that will get better with thyme. (HAH! GET IT? THYME!) Anywho, here are some more margs. I’ve realized that you can never have too many (except sometimes, you can). Happy Tequila Week, folks! Combine all ingredients in a small saucepan and whisk while it heats over medium heat, until all sugar is dissolved. Continue to simmer for 7-9 minutes, until sugar has dissolved, strawberries have broken down a bit, and liquid has turned a deep, syrupy pink. Remove from heat and let cool for 15-20 minutes. 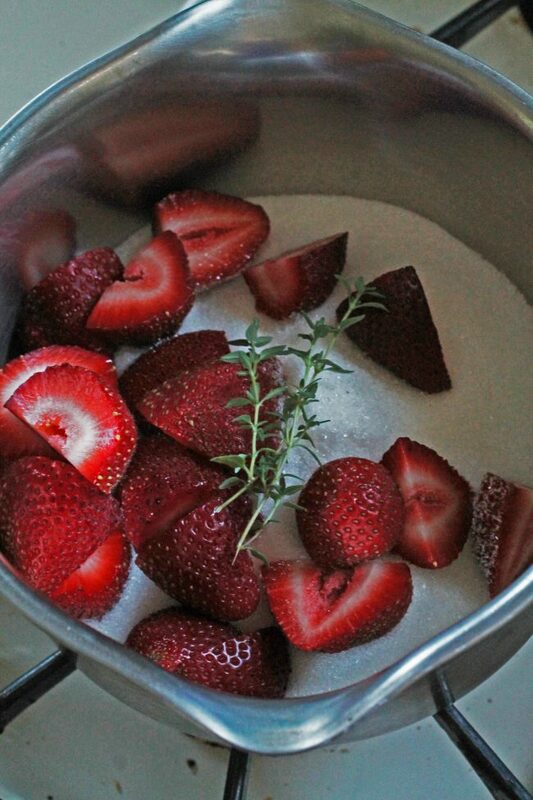 When syrup has cooled, strain it into a medium sized bowl to remove all fruit chunks and thyme leaves. The recipe below is for 2 margaritas at a time, but you’ll have enough simple syrup to make around 6. Save any extra syrup in the fridge for up to a week! Run a citrus (lime, orange, lemon) wedge around the rim of each glass and dip the glass edges into sugar or salt (I used sugar). If you don’t have any citrus, you can run water around the glass with a finger – it works just as well. Fill glasses with ice and set aside. In a shaker, combine simple syrup, lime juice, and tequila. Shake over ice until chilled, then pour over ice into prepared glasses. 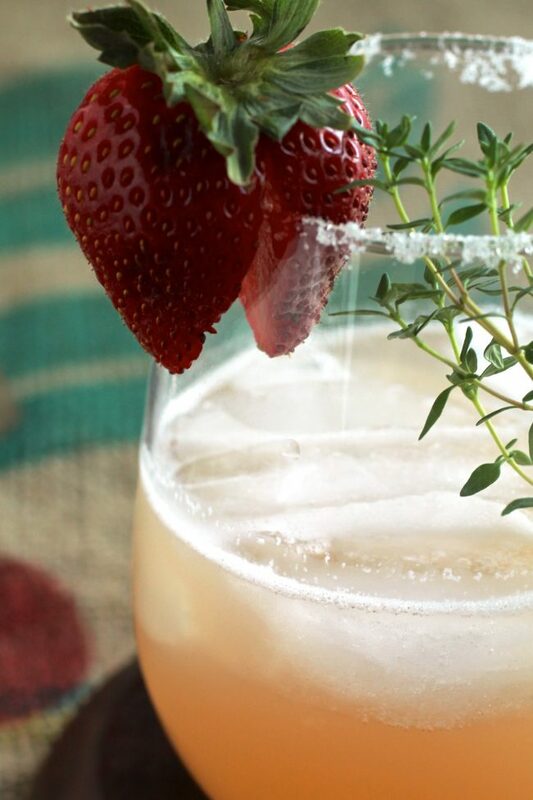 Slice some strawberries in half until just below the stems, then slip them over the edge of each glass to garnish. 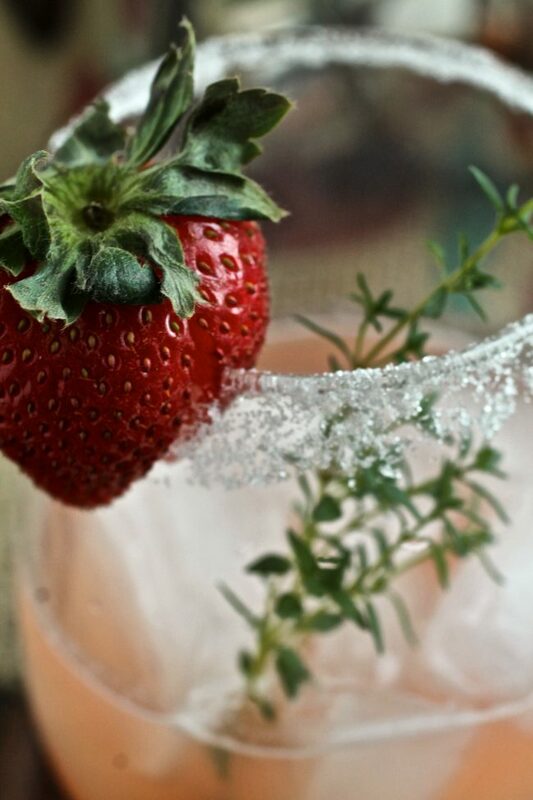 Also add a sprig of thyme to each glass for garnish. Serve immediately. Sorry to hear about your hand while you we’re having fun creating Tequila week. I love the large close up photo’s of all your dishes and cocktails it makes me want to dive right into it. I enjoy reading your site you should someday write a book. Happy photographing, editing, cocktailing and cooking. Take care of your hand. No matter how you feel about margaritas, your pictures would make anyone want to try one…or two…or three!! Sorry about the hand – OUCH! Love the post, thought process, words! 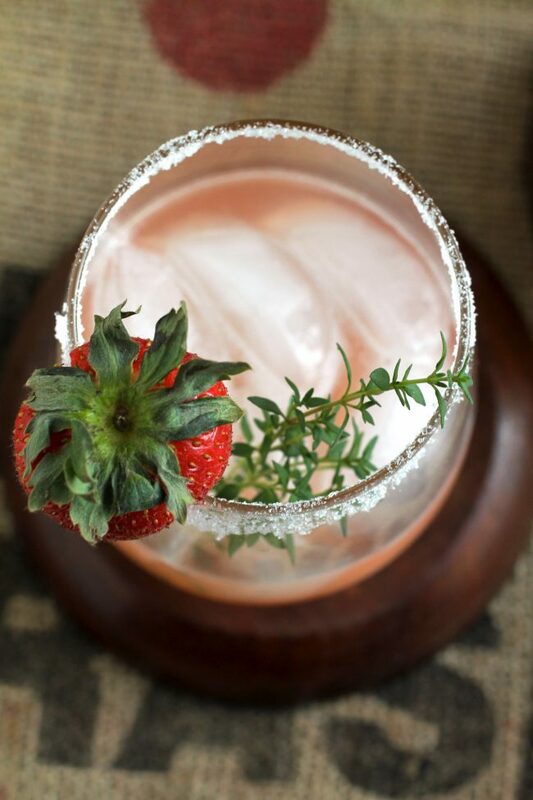 Photos of the margs look fabulous and make me want to make them. . . and I’m not a tequila fan!